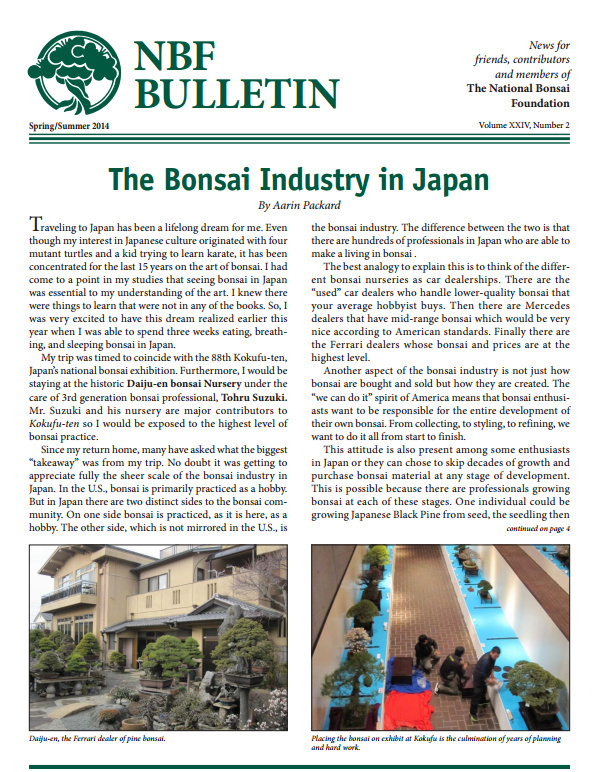 The National Bonsai Foundation’s latest bulletin is out and features my article further outlining my impressions of the bonsai industry in Japan and what lessons I think we can incoroprate here in the U.S. You can find it here. This entry was posted in Publications, Travel and tagged Bonsai Exhibit, Daiju-en, Kokufu-ten, Winter by aarinpackard. Bookmark the permalink.